Online casinos are everywhere, they have to be. People have a vociferous appetite for online gambling. It is easy, fast and fun. Just because you are playing on your phone does not mean that you have to sacrifice strategy. Many mobile players have a whimsical style when really they should be tactical. Although counting cards online is near impossible you can still use strategic play at the roulette wheel. Below are two forms of roulette strategy that work on both mobile, PC and in real life. The Martingale system is nice and easy to use. By refraining from big bets, the Martingale system methodically boosts your winnings. It is a system that requires self-constraint and a certain degree of mental aptitude – start by betting the smallest amount on even bets, the odds aren’t great but that doesn’t matter (red/black, even/odd). To keep things simple we will say that you bet £1 on red – if the ball lands, brilliant, if not repeat said bet but double the stake to £2. If successful this time you would have won £4 with just £3 investment. Once you’ve won you go back to the minimum stake and start again. Like all bets the Martingale cannot guarantee results. If your luck isn’t in, for example you have eight spins of the wheel since starting out with a £1 bet, you would have lost £255 and would have to gamble £256 on the next to be up. The Martingale system does work but like all gambling strategies it is dependent on Lady Luck. James Bond is the ultimate fictional spy. His daring, brazen approach has saved Britain and the world on numerous occasions so it is only befitting that he has a high risk roulette strategy. Always opt for a European roulette wheel. 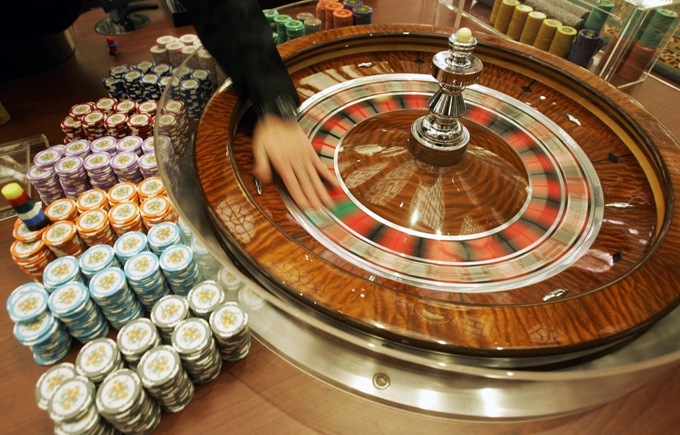 It only has one zero, unlike American roulette which has two, and thus the house has a 2.63% advantage while at an American wheel the house has a 5.26% advantage. To utilise the Bond system you need a decent start-up, to make things nice and easy we will say £200. If the ball lands between 1 and 12, you win £240. Between 18 and 36 pays you £220, while a zero would leave you with £360. If your luck isn’t in and you do lose then you can use the Martingale system to try and reclaim your costs – that would entail a £400 bet though. Just like its namesake, the Bond strategy is dangerous and safe. It enhances your odds to the maximum but it is still not a guaranteed win. A lose can wipe you out big time. As with most strategies they are not failsafe, they both have their pros and cons. The best strategy is caution. Using your head and playing smart allows you to enjoy your wins and hopefully reduce your painful losses.